Of course was a simplified manner, but helps in the process. Focusing on smushing part and repeating high pass with 30/3 alternated in soft, overlay and filter blacking gives good results too. Edited by AncientDruids at 04:32, 12 Mar 2019. Howdy! 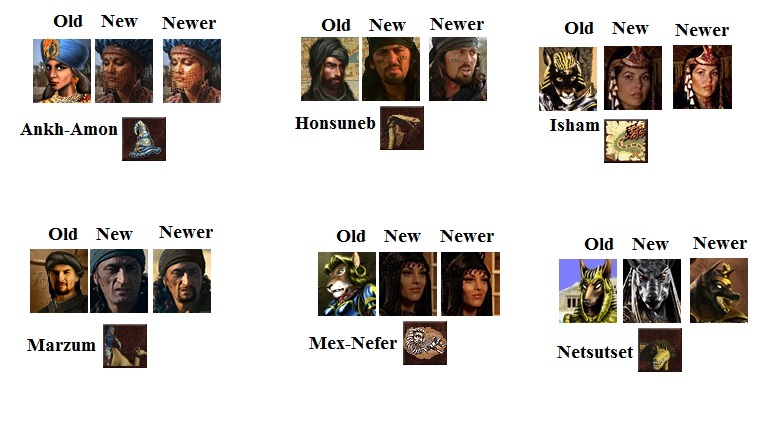 The time of a new update is getting nearer, along with the new Anubian model, more similar to what many of you fought in the Tomb of VARN. I got the original model (made by J.M.Sower) a year ago, but a lot of sand had to flow before I've got a hang of modelling, texturing and (worst of all) animating, to mould it into the desired shape. It's still a work in progress, so if you can come up with any way to improve it, feel free to comment! I know it could use a bit of 'OOMF', to make it seem more like a 7th level unit. Maybe increasing its size a bit would help (even though it's the same size as a Giant)? @Lord_Immortal your portraits look amazing! Sorry for late reply, but if any of ours strike your fancy, feel free to use them. Edited by Macron1 at 06:54, 13 Mar 2019. Faction has 1st level weak creature Slave (or 2 upgrades like Slave with club, slave with sling). Main feature of Slave that he generstes money. Town will have structure Slave Market where stacks can be converted to slaves. So main bonus of faction will become a massive amount of gold. 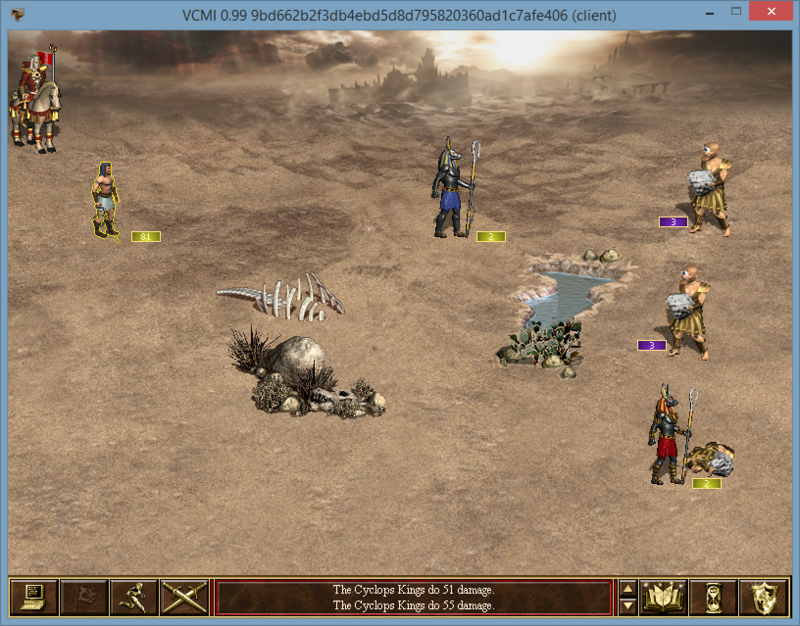 Tactics is to hunt for low-level creatures on map and in dwellings and enslave them. The main tactics against is to find out where slaves are kept and eliminate them. Edited by verriker at 19:27, 13 Mar 2019.
gorgeous stuff Andruids, bravo there! maybe if both arms grip the crosier it could give a more dynamic pose? Edited by AncientDruids at 07:11, 14 Mar 2019. @Liso1 Thanks for a shoutout on heroes3wog! I really appreciate it. The update will probably roll on Saturday or Sunday. Look forward to it! @verriker All I did was to modify an existing model, but thanks for a compliment! I already made some changes, but I think the head angle should stay as is (here's a sneak peek). 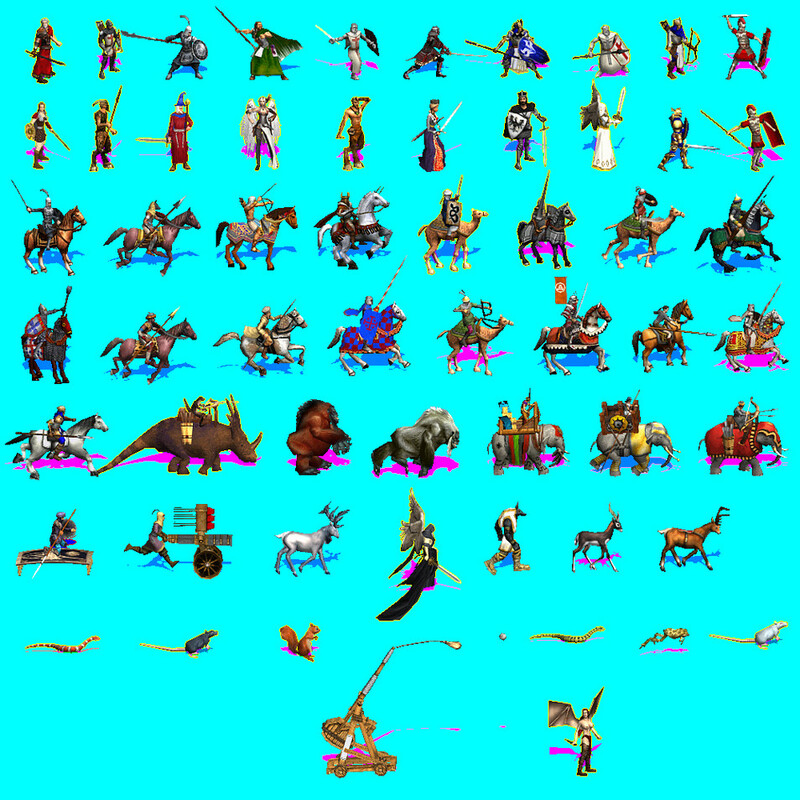 Humanoid features definitely face the camera more, but creatures animal-like snouts in Heroes 3 (wolves, lizardmen, basilisks, gnolls, dragons, etc.) are mostly turned to side. The profile perspective would also reference the Egyptian proportions canon. I'd rather keep it that way. I'll tackle the attack animation tomorrow and it'll probably be a two-handed strike, but as for the default look... I made a quick pose and it doesn't seem like a good idea [preview]. Maybe I just can't make it work, but I think one-handing pose looks better. Will you keep the original abilities of anubis? Teleport + cast damaging spell (2,3 times per battle) to all enemies at once? I bet he is walking, so no teleport. Edited by AncientDruids at 02:06, 16 Mar 2019. @Macron Indeed, because the model I've got came with a complete set of animations (with walking), but I'm planning to add a levitating animation with arms crossed on his chest. I hope it will look cool. @Dj As for attack, I always hesitated about giving an armageddon-range cast to a unit. 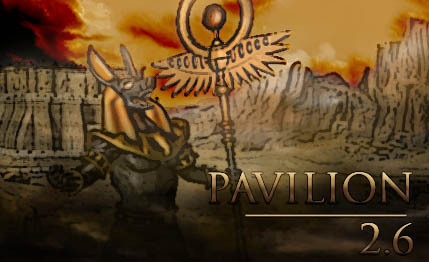 In case of Anubis, it would make him unique from other 7th level creatures and reference the plan of the original creators, however it always seemed to me that with an attack like this, Heroes III gameplay would greatly deteriorate. Hero's spells, abilities and other creatures stop being important - it's Armageddon Squad without need of learning Armageddon. People I discussed it with until now shared this conclusion. In the upcoming update, he will still attack in melee and have a chance for a powerful debuff, but after that, I'll try to come up with some way to give him one nuke. Some suggestions would be welcome too! Special spell with downed abilities of Armageddon? VCMI allows it right now. @Dj As for attack, I always hesitated about giving an armageddon-range cast to a unit. 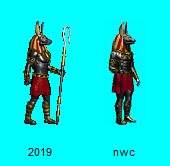 In case of Anubis, it would make him unique from other 7th level creatures and reference the plan of the original creators, however it always seemed to me that with an attack like this, Heroes III gameplay would greatly deteriorate. Hero's spells, abilities and other creatures stop being important - it's Armageddon Squad without need of learning Armageddon. People I discussed it with until now came to similar conclusions. it s not armageddon-like, but more like death-ripple like to opponents only. Edited by Ancientdruids at 05:08, 19 Mar 2019. I made a promise I'm not very happy to keep, because there still are some things I'd like to tweak and add, but sadly time flows as fast as ever and I decided to settle on the finished features and assets to release this update today. I think that's all. Feel free to play and comment. People who contributed to this project are already too many to count, so let me just express my thanks and admiration for the whole Heroes modding community for making this town a reality. Let's aim for 3.0. Peace! Also, really sorry for getting your hopes up about new units. We really want to achieve this, but unfortunately aren't as experienced as Hota or MDT 3D artists, so it will take a long time until something worth showing appears. Don't count on anything sooner than in ~1-2 months. Thanks for believing in us nonetheless, we won't give up easily! Can you make them both, please. Edited by AncientDruids at 02:07, 19 Mar 2019. VCMI console reports problems with zIndex (information on which level object displays on the adventure map e.g. special terrains), but the game runs just fine, even if you put them on a map in editor. 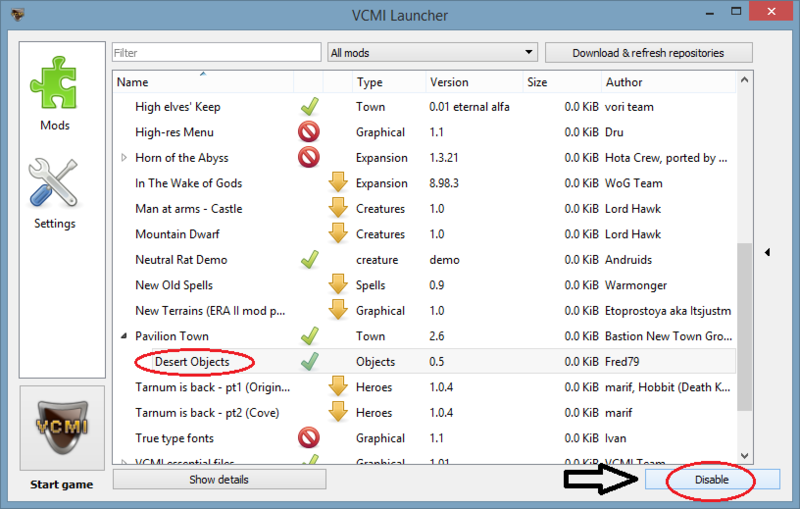 If you don't need the objects for anything, it's best you disable the Desert Objects submod. maybe first look into era mods "creature defs" as there are several elephants from warcraft already done.